Security remains a high priority when ranking amongst all trending topics. Four out of five companies across the nation place a higher priority on security compared to two years ago. IT security is not just a concern for larger corporations, government agencies or healthcare organisations. IT Security impacts small and micro business as well. Social networks, cloud services and mobility are the top three items causing the spike in IT security awareness. A higher number of organisations are reviewing their internal security practices and also the practices of all services they have subscribed to, including the security practices of consultants and outsourced resources. 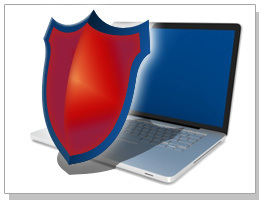 Our IT security professionals will ensure that your business is completely safeguarded. Contact us today and discuss how our IT security professionals will work with your business, identify areas needing focus and make sure proper policies and procedures are being followed by staff, management and your IT department.